North America is the third largest continent in the world with an area of 24,227,000 sq.km. It extends from 180N to 820N latitude and longitudes from 200W to 1650W. Pacific Ocean lies to the west and Atlantic lies to the east. The Arctic Ocean lies to the north while the South America to its South. The Panama Isthmus joins North America and South America. The physical division of North America is divided into three. The Rocky Mountains lie all along the western coast. Central Lowlands: They lie between the western mountains and eastern highlands. The Eastern Highlands: The eastern part of the continent is made up of highlands like Plateau of Greenland in the north, the Canadian Shield in the middle and the Appalachian Mountains in the south. Mississippi, Missouri, St. Lawrence, etc. are the major rivers. The climate of this continent is affected by the latitude, the western mountains, cold polar winds, etc. Most part of the continent lies in the temperate zone. There is extensive pine forest in the north of the continent and equatorial rainforest in the south. Nearly 460 million people reside in this continent. Europeans were the original inhabitants, but Eskimos and Red Indians are also living here. Most of the people here are Christians. They have a high living standard. English is the major language. However, other languages like French and Spanish are also widely spoken here. North America is the third largest continent in the world with an area of 24,227,000 sq.km. The climate of this continent is affected by the latitude, the western mountains, cold polar winds, etc. 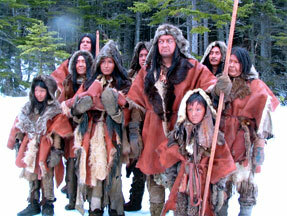 Europeans were the original inhabitants but Eskimos and Red Indians are also living in North America . Give a brief description of the region of North America to any one physical. Eastern highlands are old fold mountains which have been denuded over millions of years. They form a complicated highland system. There are three highland areas within eastern highlands in North America. In the extreme north, there is the plateau of Greenland. The Labrador plateau and the laureate highland cover a great are of Canada to the north of St. Lawrence valley. Further south of St. Lawrence valley in the United States lie in the Appalachian highland. These highlands extreme form new found land to Alabama. East of the Appalachian Ranges lay the plateau and the piedmont Atlantic coastal plain. Mt. Mc Kinley, Rocky Moutain Range, Death Valley, Gulf of Mexico, Los Angeles, New York, Washington DC, Hurricane Prone Zone, Caribbean Sea and Mexico. Which is the third largest continent? Which continent is known as the New world ? How many physical divisions are there in North America? Which of the following river is not located in North America? Which canal connects North America and South America? By size, North America is at which rank? What is meant by tropic of cancer? What is meant by Arctic circle? What is to the south of North America? What is major religion of North America? How is the life of people in North America? How many countries are there in North America? Which continent does not have landlocked country? Which continent has world's biggest national park? In which Gulf does Colorado River mix? north America has diversified climate. give reason.